2-channel scratch mixer with built-in sound card. 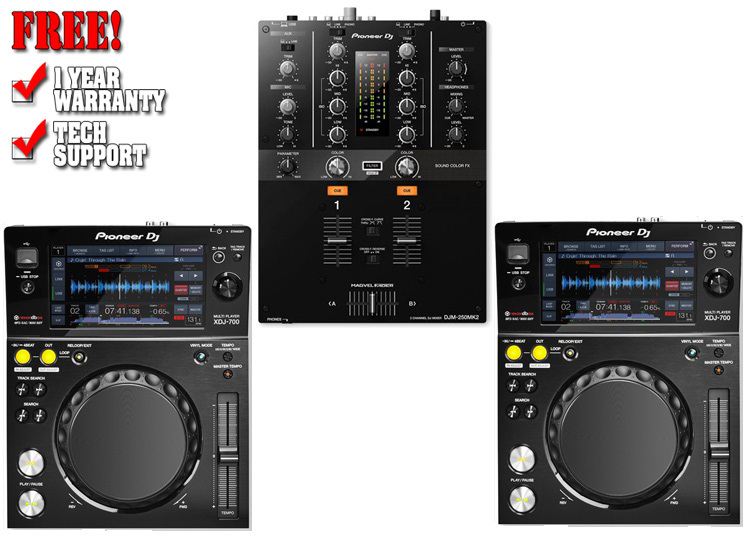 Rekordbox dvs-ready with rekordbox dj and rekordbox dvs licenses included (Rekordbox Control Vinyl is sold separately). Equipped with professional magvel crossfader. Professional independent Sound Color filter fx with parameter control. Easy recording via software through USB cable. 3-band EQ, 2 Headphone outs, independent mic section. Clear Layout & Magvel faders The clear layout of the DJM-250MK2's lower half gives you freedom to perform complicated scratch techniques. Our robust Magvel Faders ensure smooth control over long-term use. 2 metal shafts support the fader knobs, while the contact-free magnetic system is designed to endure millions of movements. The DJM-250MK2 lets you plug both an 1/4 inch stereo jack and 3.5-mm mini jack. Pick your size or attach 2 headphones when playing back-to-back.